RRx Series 1.375" Front & 0.875" Rear Chrome Moly Sway Bars with Spherical End Links - 1978-1987 GM G-Body: Regal, Malibu, Monte Carlo, etc. * Rear Axle Tube Diameter: Select One Stock Rear 3.00" 3.25"
If you're looking for the ultimate in handling performance for AutoX, all out road racing, and/or meticulous carving of corners on the street, then look no further than our RRx Series™ front and rear sway bars equipped with spherical end links. 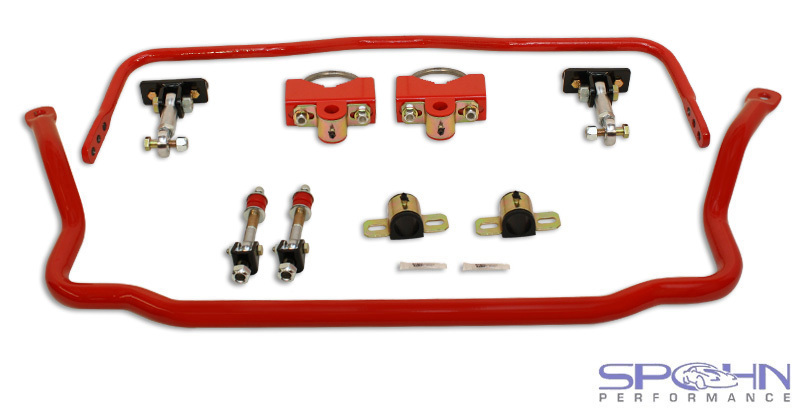 This kit is the single biggest handling improvement you can make to your 1978-1987 GM G-Body car. 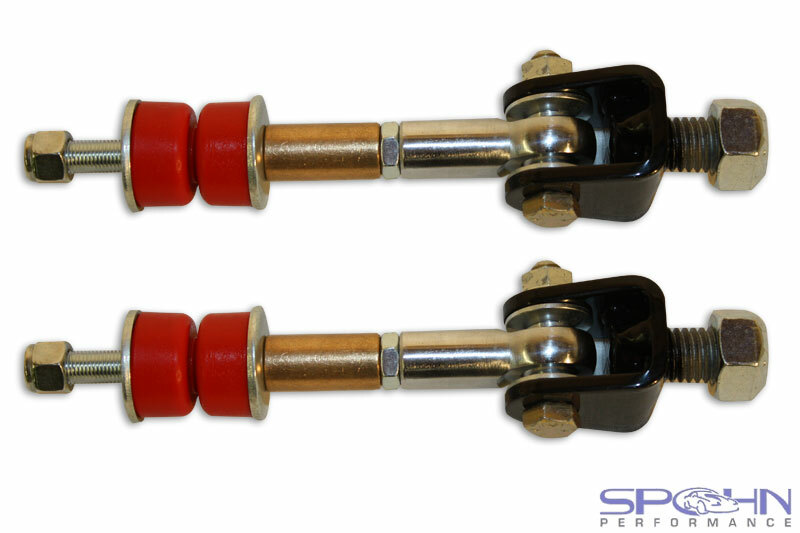 These sway bars dramatically reduce body roll and greatly increase your cornering capabilities. Don't skimp on the foundation of your suspension! 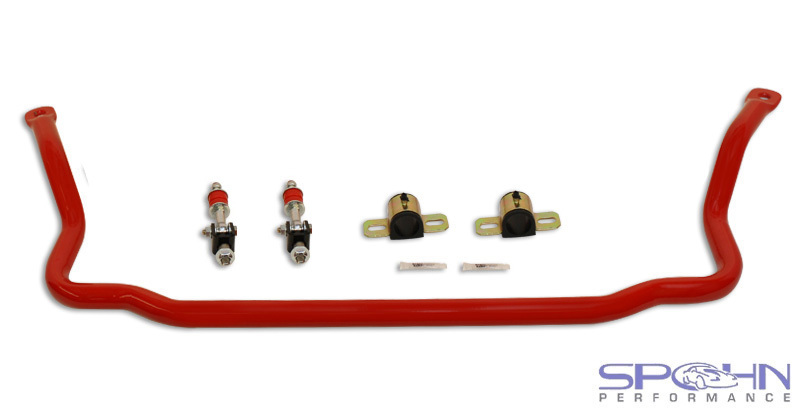 The RRx Series™ front sway bar kit includes new polyurethane sway bar bushings with grease fittings and spherical end links, everything you need for an easy bolt in installation and maximum performance! 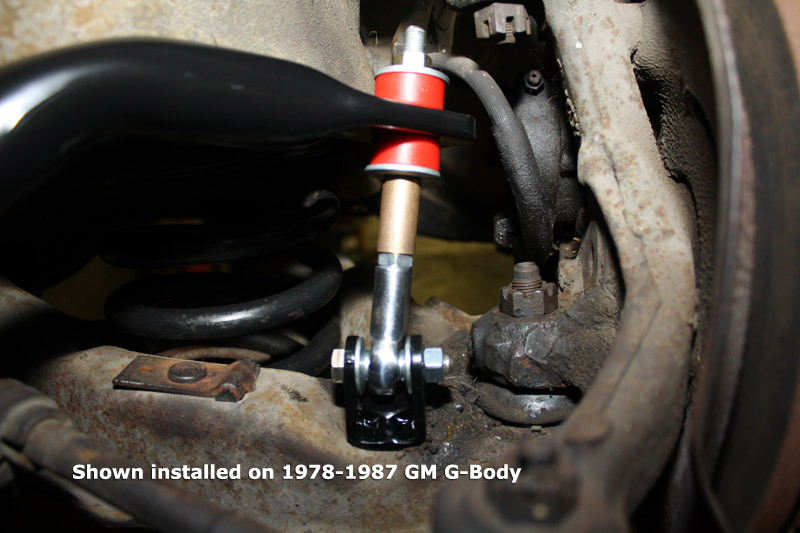 Our three way adjustable RRx Series™ rear sway bar is a quantum leap forward for the 1978-1987 GM G-Body cars. The factory method of attaching the rear sway bar to the rear lower control arms is inexpensive to manufacture, but leaves a lot to be desired on a performance car. The long suspension arms have a tremendous amount of leverage which drastically limits the effectiveness of the factory rear sway bar. This is why you sometimes see HUGE rear sway bars for these cars. The other problem is that when the suspension articulates the bar causes it to bind up. The bigger the bar, the more it binds. Our three way adjustable rear sway bar uses spherical end links mounted to the upper frame crossmember with Teflon® lined spherical rod ends for bind-free articulation. We use extra heavy-duty 5/8" spherical rod ends with a Teflon® self lubricating race. 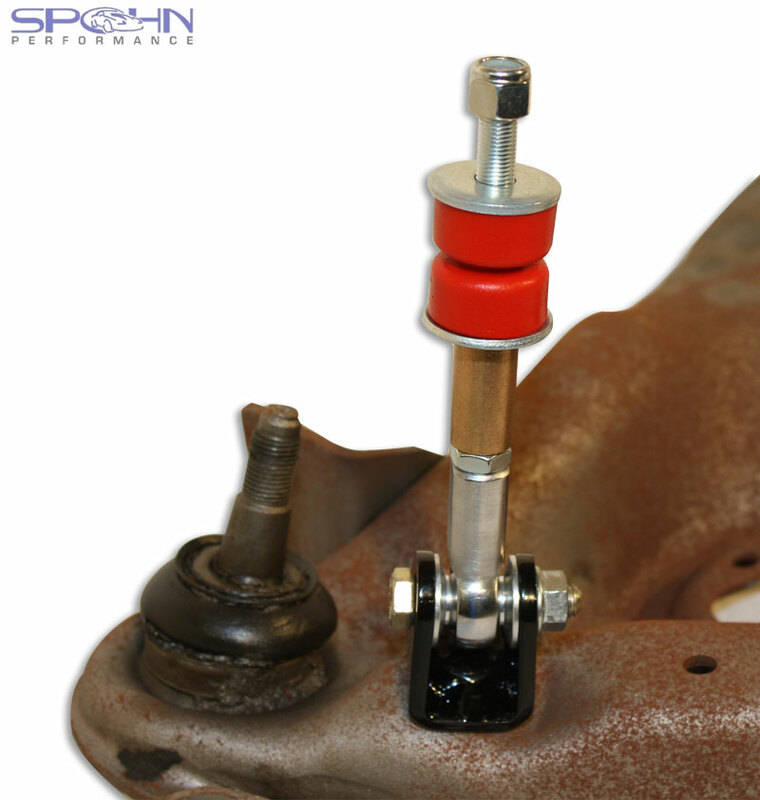 This method allows for much higher rates with a much smaller (22mm) and lighter sway bar. You can easily adjust the sway bar to soft, medium, or firm settings in minutes to tune oversteer or understeer, and you can use the firmest setting at the drag strip for flatter launches! Our bar stock is 22mm (7/8") diameter heat treated solid 4140 spring grade chrome moly steel. The bar is entirely heat formed and coined as one piece. 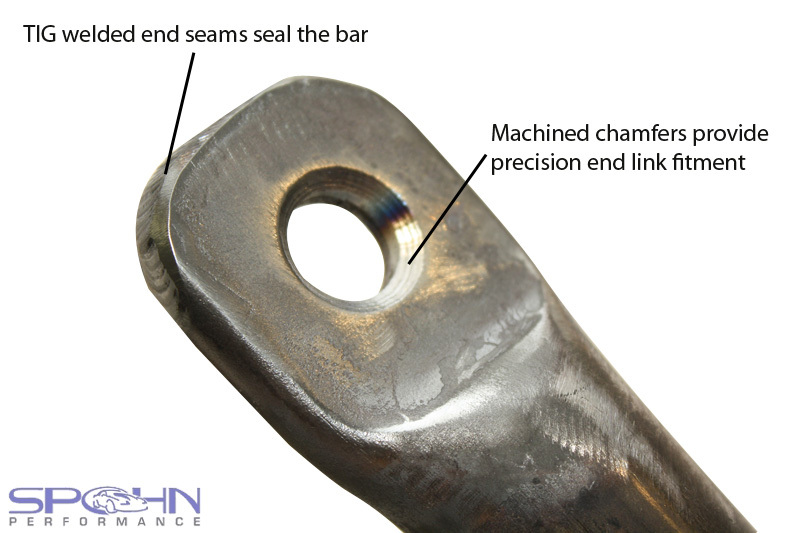 We put our bar through this extensive process to ensure that the final product will be the strongest, most durable bar on the market, and that it will be the most resistant to form alteration. This rear sway bar will work with any factory, or aftermarket rear axle housings with up to 3.25" diameter axle tubes, and will clear all aftermarket exhausts and suspension components. It's available powder coated in your choice of the above colors for a brilliant and durable finish. 22mm heat treated solid 4140 chrome moly rear sway bar. Features three (3) adjustable stiffness settings (soft - medium - firm). 15/16" x .156" wall 4140 chrome moly extreme duty end link adjusters. End links feature 5/8" chrome moly spherical joints with Teflon® self lubricating race. CNC laser cut and formed 3/16" steel mounting saddles with grip-lock teeth (no welding on the rear axle housing required). CNC laser cut and formed 1/4" steel upper end link mounts. 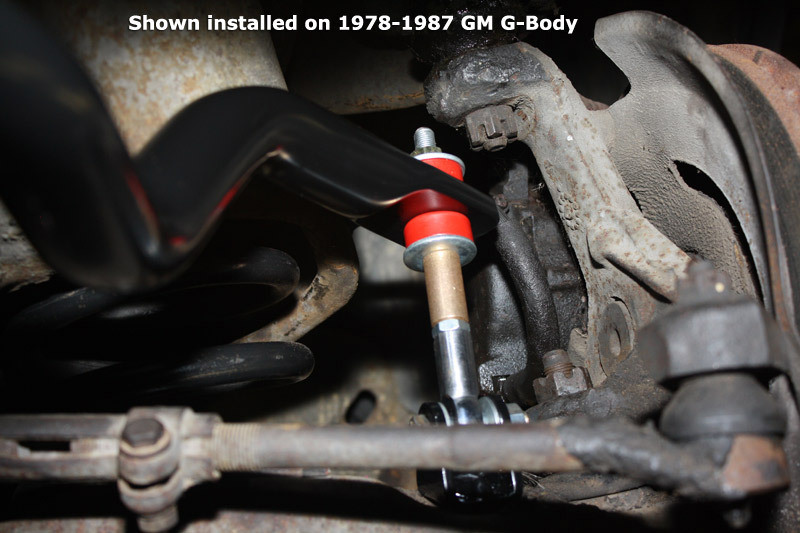 Polyurethane sway bar bushings with grease fittings. Easy 100% bolt in installation with the use of basic hand tools. Powder coated in your choice of the above colors for a brilliant and durable finish. Fitment Notes: This kit fits 2.50"-3.25" diameter rear axle tubes. Specify your axle tube diameter and rear end type in the option boxes above.